Hulhule Island Hotel is known for its classy and comfortable accommodation having 136 guest rooms falling in various categories range from 26sqm to 54sqm. The rooms have a panoramic view of the exotic Indian Ocean in various shades of blue. 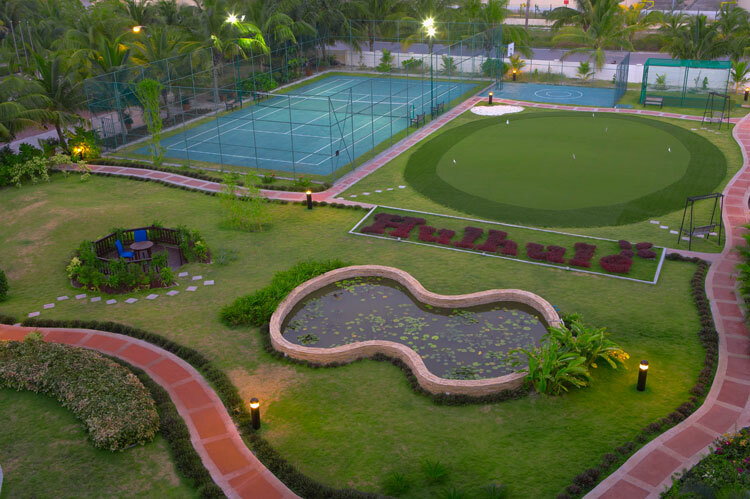 All the rooms have been provided with the most modern and functional amenities, a tea / coffee making machine, hair drier, iron and ironing board, a mini bar stocked with selected delicacies, branded bathroom amenities and few categories also have a pre-stocked wine cooler according to personal preferences. All rooms boast of LCD televisions for entertainment and round the clock In-room dining is also available. Hulhule Island Hotel provides a wonderful experience to the guests including dining fit enough for the food connoisseurs. It is a haven where delectable cuisine, ultimate ambience and excellent service culminate. The guests have a wide range of food and beverage options to choose from based on their liking of cuisine, the preference for the kind of ambience and the preferred style of service. This includes Faru Coffee House, Uduvilaa, Sunset Deck, Champs Bar, Champs Deck, Pool Side, Beach Bar, In-room Dining and Private Dining at special venues apart from the Banquets. The guests visit to Spa to rejuvenate as it provides with invigorating body and mind relaxing spa treatments. Discover a sense of balance and well-being through a diversified range of spa and beauty therapies that reflect our dedication to indulgent spa experiences. At the Spa, we offer you a unique blend of traditions to bolster the sense of balance of body, mind and spirit. The treatments on offer include the Balinese Massage – a traditional Indonesian massage, Aroma, Shiatsu and Swedish massages, scrubs, body masques, facials and spa manicure & pedicure, to name a few. The spa is equipped with Sauna and Steam room as well. 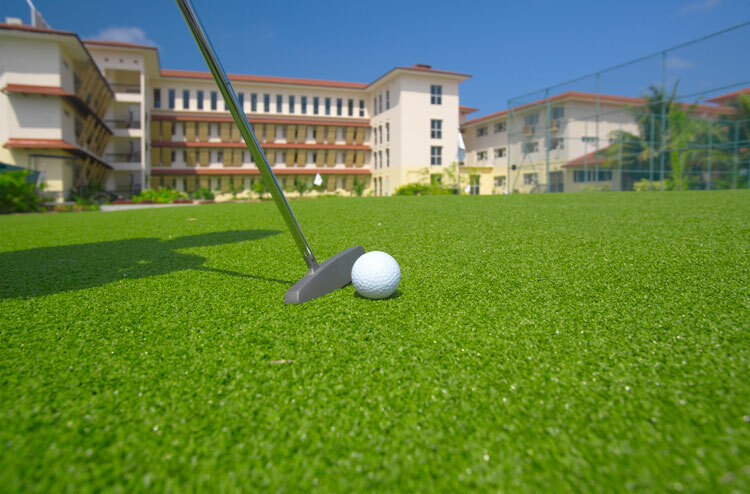 Plenty of leisure activities are available to choose from including Golf putting, Beach Volleyball, Tennis, Badminton, Basketball practice court and a well-equipped Gymnasium for the sports enthusiasts and fitness freaks. 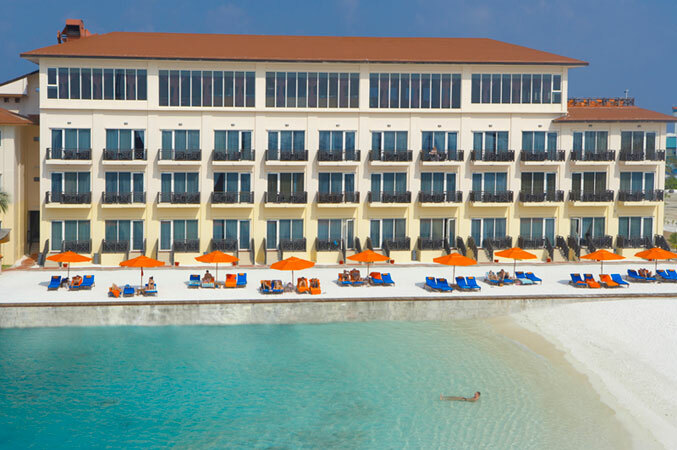 Be the first to review Hulhule Island Hotel.